Before going to bed, everyone wishes each other ‘Good night, sweet dreams’. When you ask someone; what’s your hobby? Majority of persons will answers one similar thing as ‘Sleeping‘. Sleep is one of nature’s greatest inventions and blessings of life. Here, we will be learning how the sleep thing actually becomes a kind of therapy. Sleep is like a sweet thing which soothes our mind as well as the body after a long day of work and play. Every living being requires sleep to stay well and alive. It is a periodic rest of the body which is absolutely essential for efficient functioning of ones body. Sleeping is a kind of temporarily unconsciousness when our body looks still with closed eyes, lack of speech and breathing on. During sleep most of the functions of the body are carried on at the lowest level possible in health. Sleeping duration and timing differs among all the living beings. There are many animals such as frogs, toads, several insects etc which undergoes for a hibernation period. They actually takes a nap of several months or for a half-year itself. It is believed that three-quarters of our sleep consists of what is called ‘slow wave sleep’. The restorative processes occur during this time. The remaining quarter is taken by what is called ‘rapid eye movement sleep’. It is also called paradoxical or dreaming sleep and it comes in episodes of about 20 minutes duration about five times in a night. The amount of sleep needed for an individual’s well-being, is determined by what he feels he needs not by what other people, including the doctor, thinks is reasonable. On the whole, women sleep from 45 minutes to one hour more than men. The amount of sleep required varies at different age. 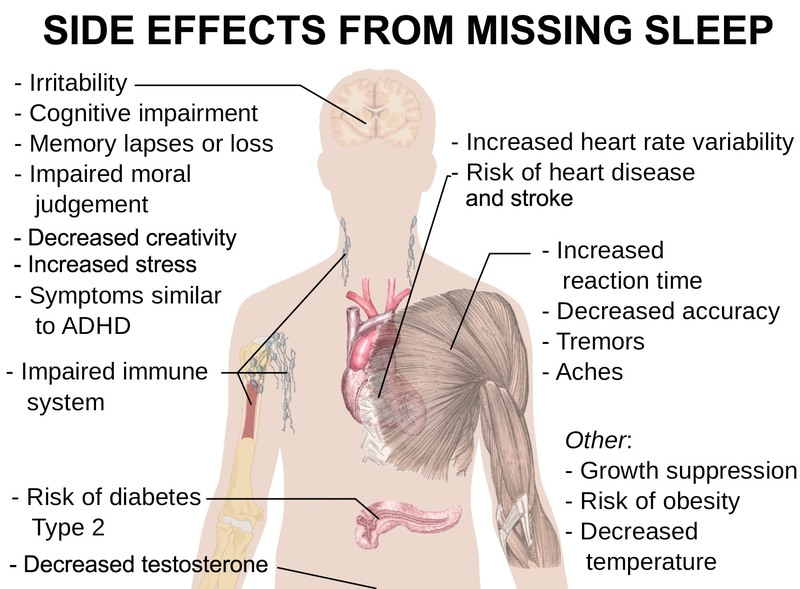 How does sleep rejuvenate our body as well as mind? When somebody falls ill, doctor and family members advice the patient to have ample rest and deep sleep. You must have also observed, after a sound sleep; one feels very energetic, positive-minded and cheerful. Does a fairy comes and fill your body with energy? This is just the statement for kids. As a fact, According to the theories, sleep is induced by a reduction in the blood supply to the brain or at least to conscious centres. The following points will make you understand, how actually our body reacts and gets replenished during sleep. During sleep, the cells and tissues that break down to produce toxic waste become less active and the production of toxic waste is vastly reduced. In the sleeping state, our body gets more comfortable as there is no physical activity going on; it recharges our body system thus making it energetic and filled with confidence. Our body absorbs much oxygen while sleeping, that is why one suffering from cold and flu’s are advised to have sound sleep. A normal being can’t live without sleep. Even if you rest, your body still needs a sleep for the efficient working and for a proper health. Many people gets cervical issues, sciatic, muscular pain etc due to wrong posture of sleeping. There are many theories about good and bad sleeping positions. Practically, everyone changes positions several times during sleep. For proper sleep, however, one should not sleep on one’s back but on the side with one or both legs brought well up and the head as well as the shoulder slightly forward. There is a sleeping disorder too which is called ‘Insomnia’. In this very condition, the person is unable to get a sound sleep and discovers many other health issues too. To get rid of this, many opt for sleeping pills. As a fact, sleeping pills are no remedy for sleeplessness. They are habit-forming and less effective when taken continuously. It lowers the I.Q, dull the brain and also results in many mental issues which can be fatal by the time. Before going to bed, clean your legs and hands with soap and water. This will help you to get a sweet sleep. Many people prefer sleeping in any costume; but this is not good. You must wear some comfortable cloths, because sometimes due to wrong dresses sleeping disorders occurs. Apply some mustard oil on your feet and massage gently. Doing so will ensure the proper blood circulation and you will feel easy and comfortable to sleep. Unpleasant situations at bedtime such as arguments, watching a horror movie, loud musics, quarrels etc would create fear and anxiety which is not a bit good. The sleeping place should be well-ventilated with balanced temperature and free from noises. Many feels it comfortable to listen soft and sweet musics at bedtime. It is also a good way to get good sleep. Don’t eat too heavy at bedtime. Food should be short and light; make sure that you take the dinner about 2 hours before the bed time. Sleeping well is an art. It needs a perfect blend of healthy habits and control of mind. A clean body and mind, relaxed moo, physical exercises and perfect diet are some of the basic sleep-inducing methods. Remember, if you really wants to make yourself successful them maintain your correct time of sleeping. There are many who due to lots of work, make their sleep hamper; doing so makes them pay in future which is not good. It is also said d “Early to bed and early to rise, makes a man healthy, wealthy and wise”. Take care and live well!